Being arrested and charged with any crime is a very serious and scary business. Whether you are involved in any illegal activities or not, going through a criminal prosecution is an exceedingly stressful ordeal. Drug possession, while it is a nonviolent crime, can have very serious consequences in the state of Connecticut. The laws are very severe, and the penalties are very strict. It’s important that you have an experienced criminal defense attorney on your side in court. Here at Cirillo Legal, the best criminal defense law firm in New Haven, we have experienced lawyers ready to help you fight for your rights in court. If you’ve been charged with drug possession, you might be wondering how an attorney can help you. If you choose to plead not guilty, there are a number of defenses an experienced criminal defense attorney may be able to use in your favor. It’s possible that the evidence and testimonies involved in the case will not hold up to scrutiny, and it’s the job of your attorney to figure out if that’s the case. •	Just because something looks like a drug doesn’t mean it is one. Any drugs used as evidence in a drug possession case must be sent to a crime lab for analysis. The crime lab analyst who tested the drugs must also testify in court. •	It’s possible that the drugs found in your possession don’t actually belong to you. Maybe a friend or a stranger passed them off to you without your knowledge. Your criminal defense attorney may be able to press prosecutors to provide proof that the drugs they found actually belonged to you. 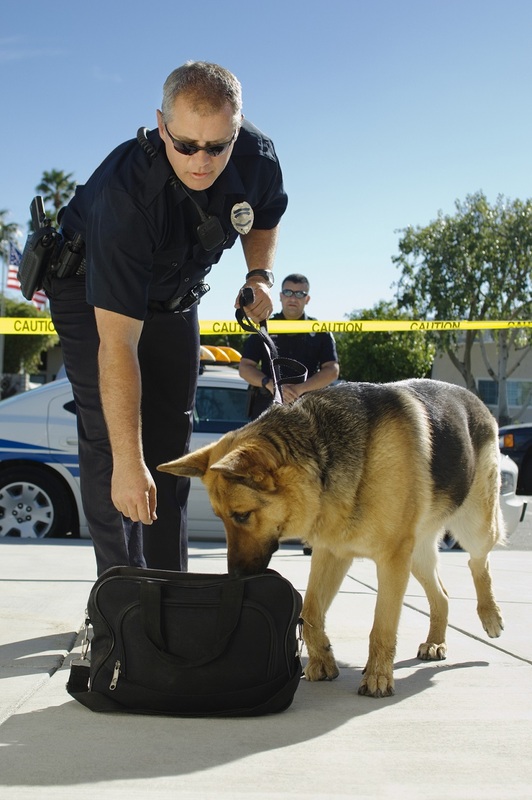 •	Officers are bound to follow the law during all criminal investigations. They must be sure to practice lawful search and seizure processes. If you’re pulled over by a police officer, any illicit drugs in plain view may be used as evidence. However, unlawfully obtained drugs cannot be admitted as evidence. If a police officer breaks into your car without permission and finds drugs, they cannot be used as evidence if you are charged with drug possession. •	In some cases, it’s possible that drugs found in your possession were only there because of the criminal acts of a police officer. Perhaps the illicit substances were planted on you or you were entrapped by an officer or an informant. Entrapment occurs when an officer or informant persuades someone to commit a crime they otherwise would not have. •	Drug laws are changing. Medical marijuana is now legal in Connecticut. If you are legally authorized to use medical marijuana and you are unrightfully charged with drug possession, an experienced criminal defense attorney can help you right this wrong. If you’re charged with drug possession, it’s imperative to reach out to an experienced criminal defense attorney as soon as possible. Cirillo Legal, criminal defense law firm in New Haven, CT provides a wide variety of legal services, including disability law, personal injury, and worker’s compensation. Visit our official website at http://cirillolegal.com/ for an in-depth look at the legal services we offer. Our experienced lawyers will guide you through the process from beginning to end, using their expertise to your legal advantage.